Many of you have asked about this and know its been coming but as always, we give our shout out to the drivers of change. Thanks for the feedback Matt from CloudBeds and Macey from Intelity! You had a unique review URL for each of your products and if a customer used multiple products, they would have to leave multiple reviews. Send customers to your company's single review URL (ex. 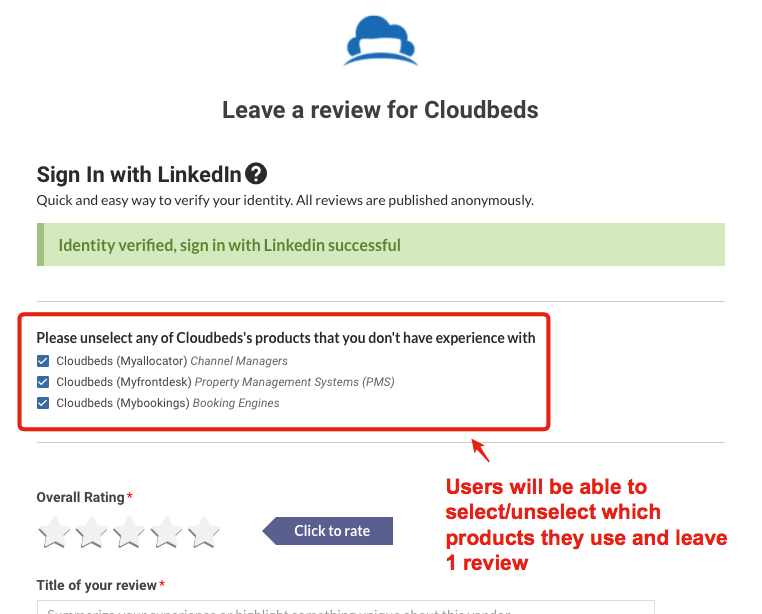 https://hoteltechreport.com/write-a-review/cloudbeds) and they can select which of your products they use and don't use. Their review will then be syndicated across your respective product profiles.